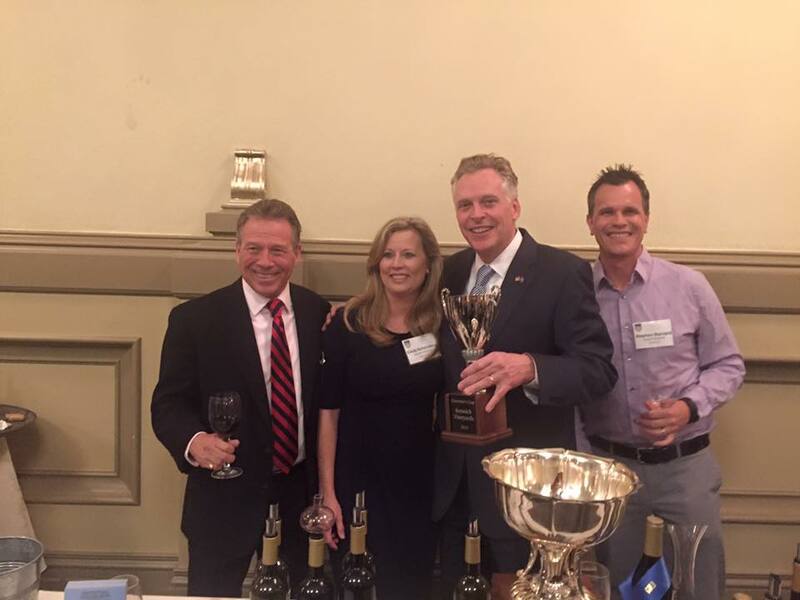 Put on by the Virginia Wineries Association, the Governor's Cup is the commonwealth's premier wine competition that rates hundreds of Virginia wines. For the 2016 contest, which was held over a four week period during the month of January/early February, more than 90 wineries submitted 432 wines. Jay Youmans, MW, directed the competition. Meritage blends lead with 14 wines receiving gold medals. Five wines that were 100% Petit Verdot won golds, and 2 Tannats and 2 Tannat blends also received gold medals. For whites, three Virginia Chardonnays and two Virginia Petit Mansengs won gold and highlighted that these grapes continue to show well in this climate. Four Cabernet Francs, one Nebbiolo, one Cabernet Sauvignon, one Merlot, one Vermentino, and two dessert wines were also among the gold medalists. 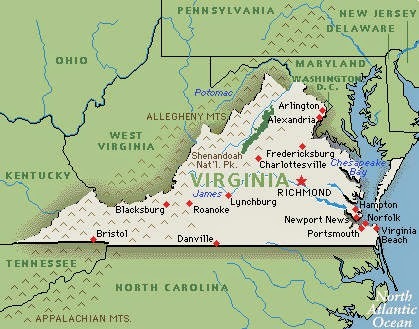 Dave McIntyre (in the Washington Post): The results hint at some interesting developments in Virginia’s wine world. In previous years, white wines were underrepresented in the Governor’s Case. This year, the rules were changed to reserve three spots for whites. That four made it into the case demonstrates the strength of white wines this year. Two of them are Petit Manseng, which is making a strong bid to eclipse Viognier as Virginia’s most distinctive white wine. And it’s notable that both the Horton and Michael Shaps are dry expressions of this wine, which is more often made in a fruity or even sweet style. The inclusion of Barboursville’s Vermentino is another hint that Virginia has the potential to excite with “alternative” white wines. We also see consistency: North Gate’s Meritage (a Bordeaux-style red blend) makes the Governor’s Case for the third consecutive vintage. Glen Manor’s Hodder Hill (another Bordeaux blend) won the Cup in 2011 for its 2009 and reappears here. And Michael Shaps is a familiar name among Virginia’s elite winemakers. Shaps garnered five gold medals, more than any other producer, including one for his stunningly delicious petit manseng, which is in the Governor’s Case. And we see new wineries emerging. Granite Heights, in Opal, won three gold medals for its red blends, including the 2010 Evening Serenade, which made the top 12. This is a tiny winery worth a detour off U.S. Route 29 as you drive to Charlottesville. And Loudoun County’s Stone Tower Winery, already a popular site for weekend wine tourists, earns a spot in the Governor’s Case with one of its first releases, the Hogback Mountain red blend. Keswick Vineyards, located just east of Charlottesville, won this year’s Governor's Cup for best wine with its 2014 Cabernet Franc Estate Reserve. A Cabernet Franc won for only the third time in the 34th year of the award. The Governor’s Cup was the third for Keswick winemaker Stephen Barnard. His 2005 Rappahannock Cellars Viognier Reserve won in 2006, and Keswick’s 2007 Cabernet Sauvignon was tops in 2009. 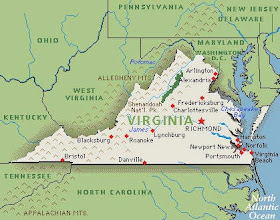 Virginia is the 5th largest wine industry in the US, with nearly 300 wineries and over 3,500 acres of vineyards. In the original charter of the thirteen colonies was a royal commission to pursue three luxury items that England was unable to provide for itself: wine, silk, and olive oil. Every colony made attempts to satisfy the requirements of its charter. Despite many years of failure, the early Americans persisted in their efforts. A big step forward was made in 1740 when a natural cross pollination occurred between a native American grape and a European vitis vinifera. Other successful crossings followed. Today, the vitis vinifera grapes Chardonnay and Viognier are the leading white varieties. Increasingly they are made without any or with neutral oak, to retain natural acidity and freshness. It appears Viognier is on its way to becoming Virginia’s official “signature grape”. 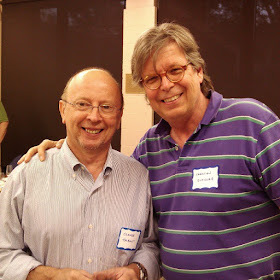 Finally, Claude Thibault, a native from France, has taken Virginia sparkling wines to a new level. His NV Thibault-Janisson Brut, made from 100 percent Chardonnay, is as close as you can get to Champagne outside of France. Thanks for the write-up, Christian! But the caption for the photo at the top of the page is a bit confusing. 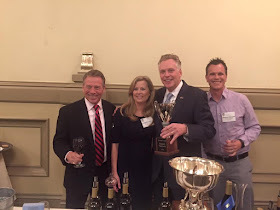 Terry McAuliffe, the governor of Virginia, is the second from the right, holding the Governor's Cup.